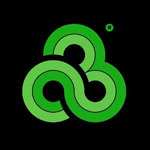 Bonnaroo 2019 features multiple stages with a lineup of indie rock, electronic music, alternative, hip hop, americana, bluegrass, folk & reggae, among other musical styles. It's the playground of the cool kids and the hippies; at the same time, on the same field! Bonnaroo tickets are on sale! The WHO STAGE, SILENT DISCO & more are coming soon! Check back for updates! The Bonnaroo lineup is out! Phish, Childish Gambino, Post Malone, Odesza, and The Lumineers all headline! Solange, Hozier, Cardi B, Brockhampton, The National, Brandi Carllile and Illenium also top the lineup! 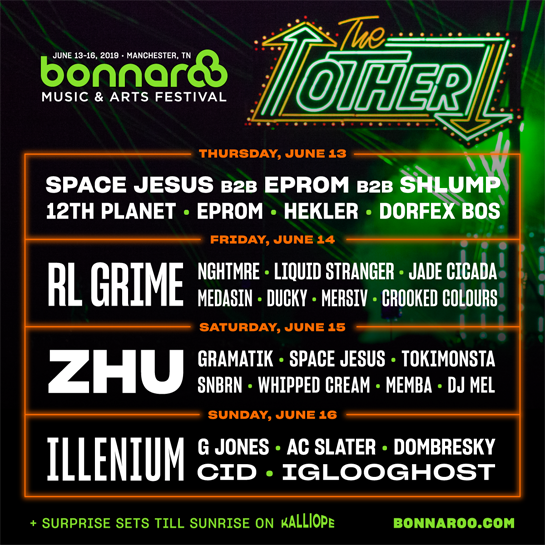 The Other Stage lineup headliners are RL Grime, Zhu and Illenium! NGHTMRE, Gramatik, G Jones and Space Jesus B2B Eprom also top the lineup! Check out stages like The Grind, The Grove, The Arch, The Tower, and The Fountain. The Bonnaroo dates are June 13 -16, 2019. These are the official and confirmed dates. Check out the "How Do You Roo?" festival guide for simple and easy way to plan your Bonnaroo adventure by doing the following: 1. Choose A Ticket Type, 2. Plan Your Sleep, 3. Plan Your Travel and 4. Prepare Thyself! 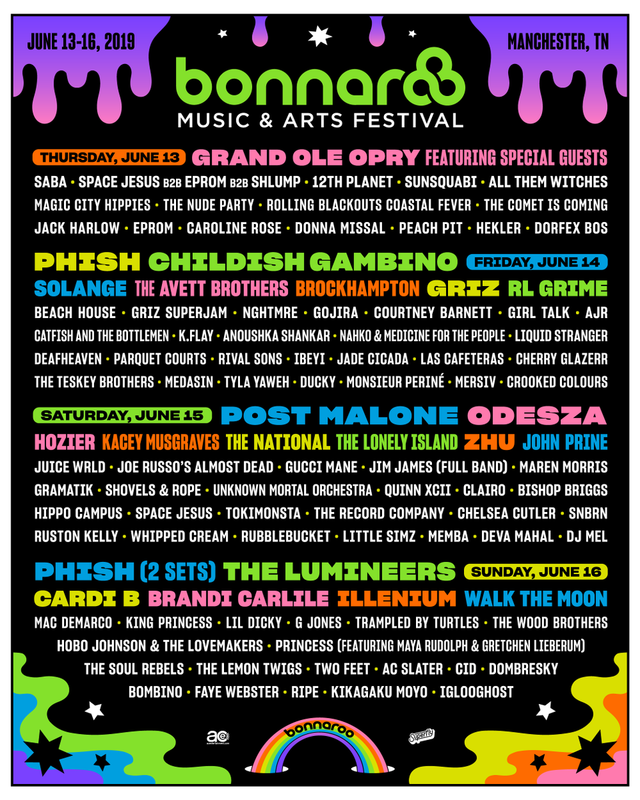 The Bonnaroo 2019 lineup is out and Bonnaroo 2019 tickets are below! Bonnaroo tickets for 2019 are on sale! The Bonnaroo lineup for 2019! The Bonnaroo Other Stage lineup for 2019! 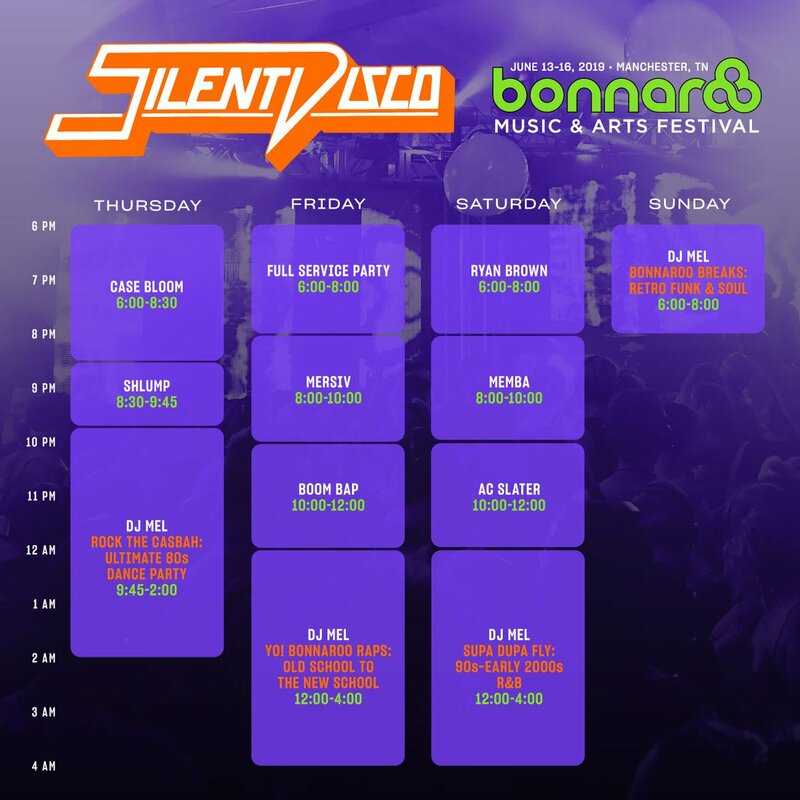 The Bonnaroo Silent Disco lineup for 2019! 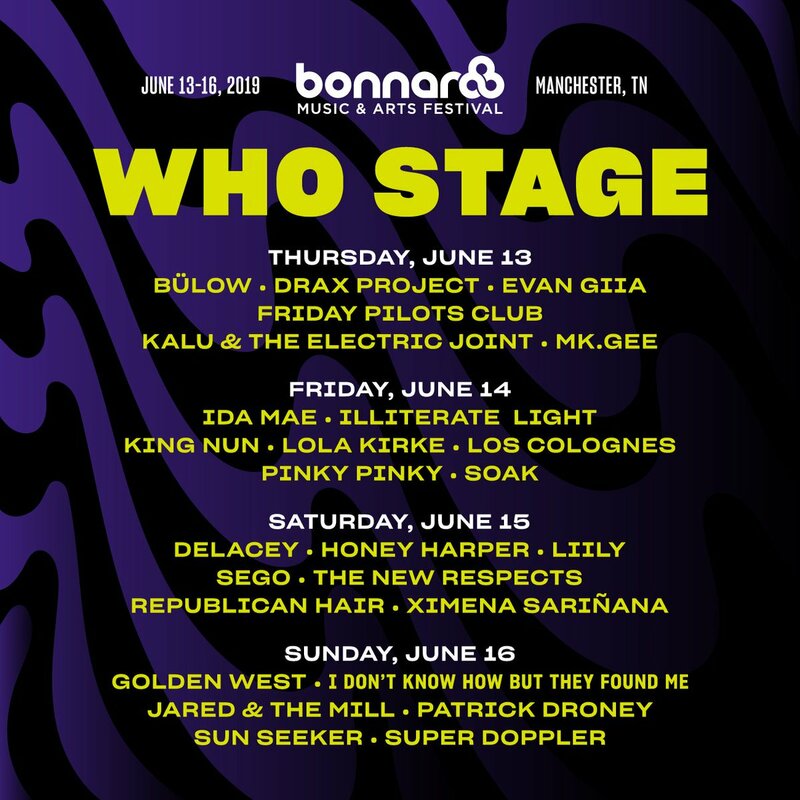 The Bonnaroo Who Stage lineup for 2019!